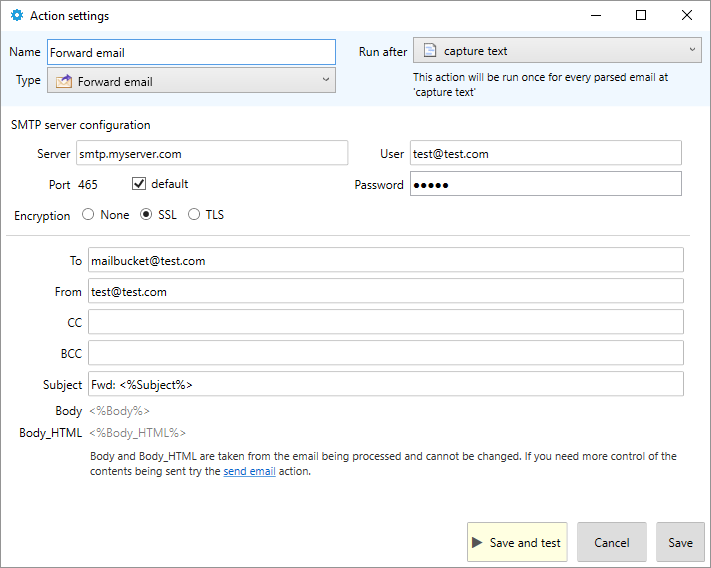 Email forwarding simply resends the received email to the specified email address. 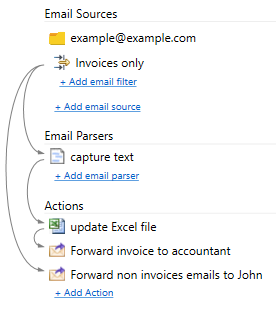 It is quite similar to the send email action but the fields Body and Body_HTML are fixed as they are taken from the original email. Atttachments are also forwarded.